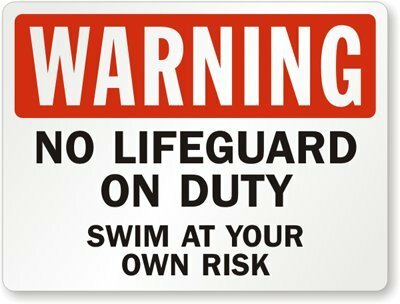 I have noticed that many motel swimming pools have a warning sign that reads: “No Lifeguard on Duty”. Swimmers are to understand that they are on their own. If some emergency occurs while they are in the water, they will have to fend for themselves. It is sad that so many people go through life thinking that they have to make it all on their own. They don’t realize that there is a powerful and loving God who wants to be there for them in times of trouble. We Christians realize that we not only have a lifeguard who is constantly on duty, we have a lifeguard who can walk on water! “For your name’s sake, O Lord, preserve my life; in your righteousness, bring me out of trouble.”—Psalm 143:11. This entry was posted in Christian Living, Communion Meditations, Prayer and tagged illustration, Jesus, lifeguard, no lifeguard on duty, powerful and loving God, preserve my life, Psalms, swimming pool, walk on water. Bookmark the permalink.